Can I afford buying Glass Railings? 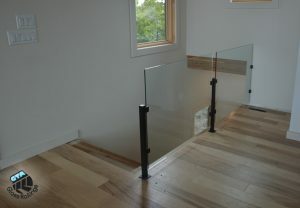 -Some people they have to spend a fortune to get glass railings at their houses. The truth is such information is wrong. Depending on what glass railing system you decide to go with, you can expect to pay as little as 25% extra when comparing to price of Iron Railings. Even though you pay more for glass, most of our glass railings systems require zero maintenance, while iron railings will cost you on time or paying a professional to paint and/or retighten or replace the screws that hold up the railings and eventually will have need for repair.